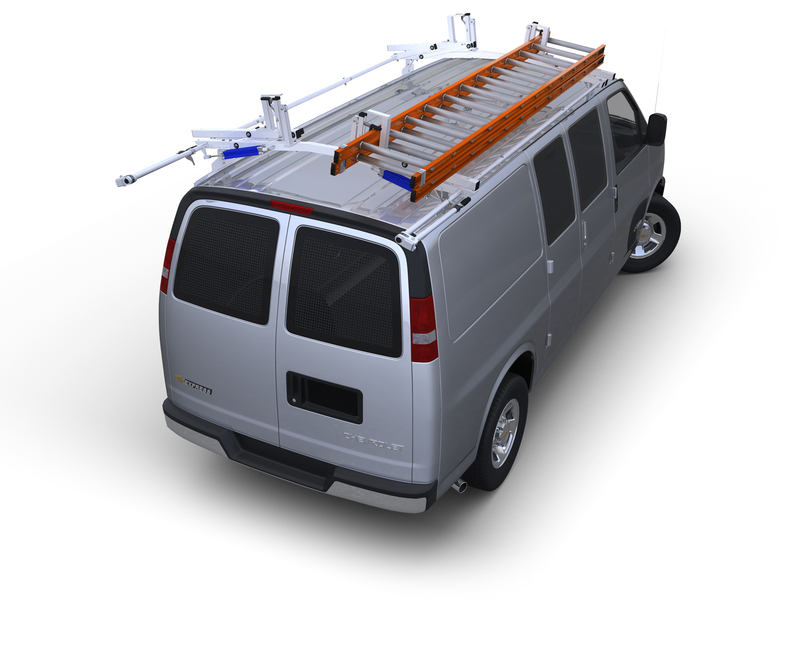 Mount this unit at either side or rear door of your van to access parts from outside the vehicle. Middle and bottom shelves (11 3/4" W x 39 1/2" D x 3" H) are supported with bearing-assisted slide arms. Spring-assisted latch holds drawers securely closed. Sturdy top stationary shelf (15 7/8" W x 40" D x 3" H) provides protection for the sliding shelves' contents and is great for storing larger items. Mount this unit at either side or rear door of your van to access parts from outside the vehicle. Middle and bottom shelves (11 3/4" W x 39 1/2" D x 3" H) are supported with bearing-assisted slide arms. Spring-assisted latch holds drawers securely closed. Sturdy top stationary shelf (15 7/8" W x 40" D x 3" H) provides protection for the sliding shelves' contents and is great for storing larger items. Small unit footprint (15 7/8" W x 40 5/8" D) provides nearly 5,400 square inches of shelf storage capacity. Heavy-duty 1" square steel tube frame construction with 18-gauge steel shelves and powder coat finish. Unit measures 15 7/8" W x 43 1/8" D x 18 3/4" H.